We are sorry to report that The Ottawa Object has ceased publication. It was a wonderful experience to put together two terrific issues. Thanks go out to all submitters, contributors, and readers! The first issue of The Ottawa Object is now available! It features the work of Christine Brandel, L. C. Fiore, Brandon French, Marilyn Horn-Fahey, Daniel Lalley, Robert Lunday, Eddie Malone, Dan Nielsen, and Courtney Walsh. Cover photo by Kylee Rasmussen. More information is available on the Issues page. Contributor copies will be in the mail shortly. Thanks to all the talented people who made this issue possible! First Issue Due Out in Two Weeks! The first issue of The Ottawa Object is taking shape and should be available on or around July 22. An announcement will be posted here (with links) when it is available. Thanks go out to all the talented writers who contributed stories! The deadline to submit stories for consideration in the first issue of The Ottawa Object is Tuesday, June 30! The issue will be available in late July — but there’s still time to have your story included! See Submission Guidelines for more details. Interviewer: Yet you write as if you’ve lived through violence. The italicized part seems so exceptionally wise to me, delivered with such a dash of humor, that I feel woozy. The writer’s mind is filled with snatches of remembered images, occurrences, and overheard statements, and sometimes the task of writing is to pull them out, consider them, rearrange them, test their edges, see if they come to life. In 1924, images were taken at an observatory in Ottawa that appeared to reveal a wandering point of light in the night sky. Despite exhaustive searching for what was believed to be a trans-Neptunian planet, nothing was ever found. It seems to me that this hopeful searching — the yearning to know more about our surroundings — is one of the fundamental impulses of human beings. Just as fundamental, however, is the sense that this search must remain unfulfilled. 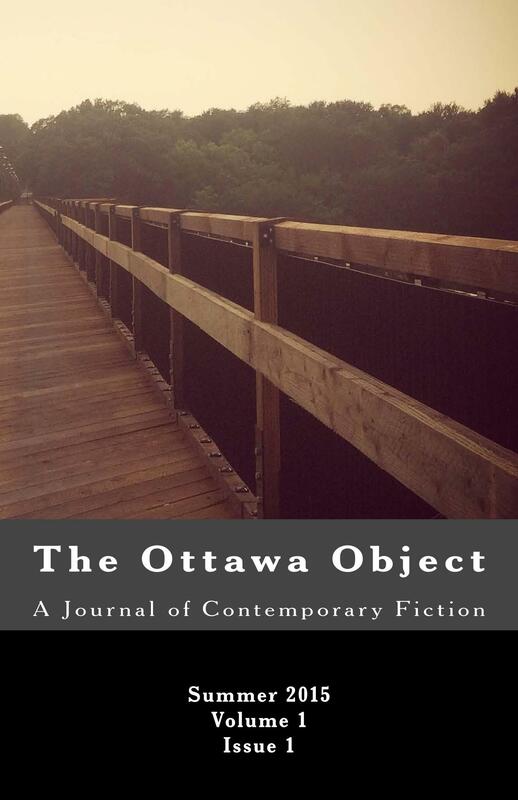 The Ottawa Object is a new literary journal that will attempt to capture the feeling of this yearning. It will publish short speculative fiction and audacious literary fiction. It will contain stories that explore human striving from shifting perspectives. It’s a print journal slated to come out twice per year.